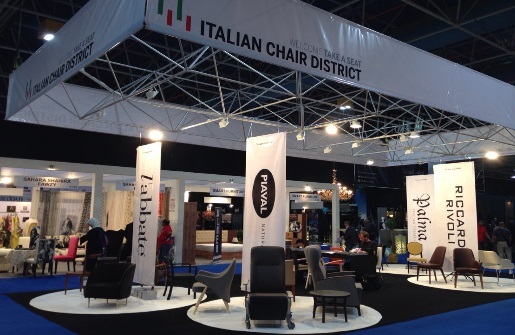 The network "Italian Chair District For International Markets", made up of the four Friulian excellences landed again in Saudi Arabia for the sixth edition of Decofair. Decofair is Saudi Arabia's Exclusive International Design Trade Show that creates a business platform to exhibitors from the international and local design industry. The Arab world's leading trade fair, was held at the "Jeddah Centre for Forums & Events" from the 10th to 13th November 2014 and brought together in one place the most important developments and trends in the furniture industry. The companies of Italian Chair District for International Markets successfully networked and did business with buyers, interior designers, architects, and investors. The firms of the network showcased their products and fascinated visitors coming from all over the world. The primary objective was to join the forces, presenting to customers of the Middle East a group, and to offer the most extensive range of products and styles, characterized by superior quality, guaranteed by design and manufacturing processes entirely "Made in Italy".